Pure Brazilian high grade; longstanding Sao Paulo stable DNBB reflect over some of their most touching, soulful rollers and gossamer grooves with this third volume in the Golden Team series. 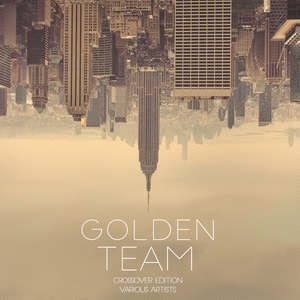 Highlights can be found across the entire 23-track collection but instant bliss and pure uplift can be found on the likes of Mystific's piano-pimped "Into The Sky", Motta's lavish soul and sample craft on "True Romance", the sultry Latin purrs and nylon strings of DJ Roots "Sorriso De Flor" and the emotional key lilts and hurricane atmospheres of Cosmikk's "Lea". Nothing but vibes, sunshine and soul, when they say gold, they mean gold.